Yesterday, I went to Chapel Hill to take the most important photo I’ve taken so far—the photo of a Nobel Prize. As I was working at Duke Press yesterday morning, I received a phone call from Amrith Ramkumar, Duke Chronicle’s editor. “UNC is doing a press conference at 1 p.m. to congratulate their Nobel Prize. 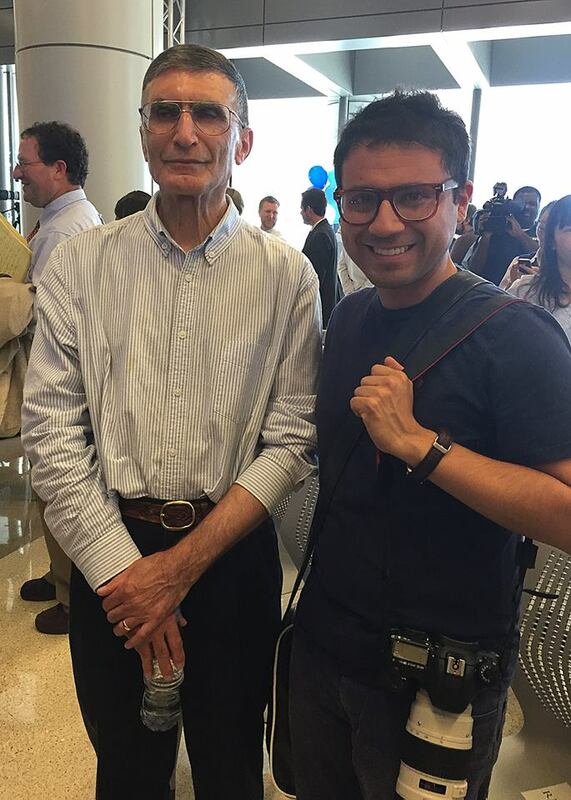 Can you go and take photos?” I had already read that Aziz Sancar (UNC,) Paul Modrich (Duke University) and Thomas Lindahl received the 2015 Nobel Prize in Chemistry just after I woke up. Unfortunately, Modrich was out of town when the news were made public. But UNC was holding a press conference with Sancar and that was a great opportunity to see and listen to a Nobel Prize live and direct. 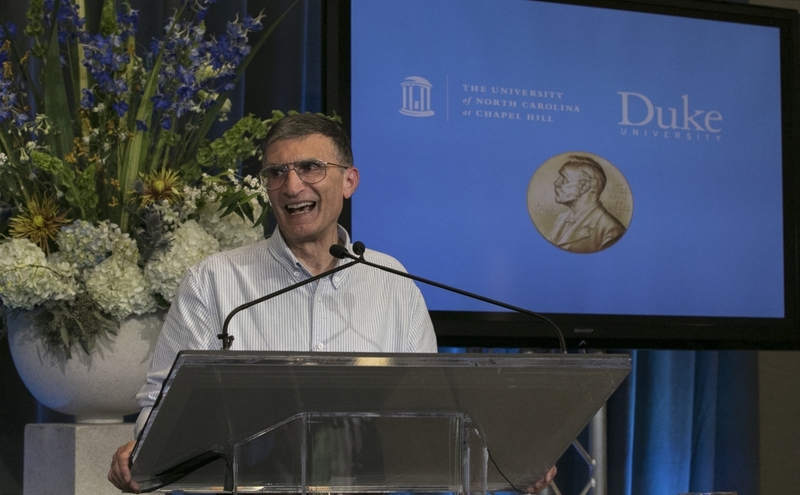 After making some arrangements to rearrange my schedule for the rest of the day, I accompanied two Chronicle writers to Chapel Hill and took hundreds of photos of Aziz Sancar, a nice but also shy person who seemed to be overwhelmed by the ceremony and the crowd. And I managed to get a photo with him as well!